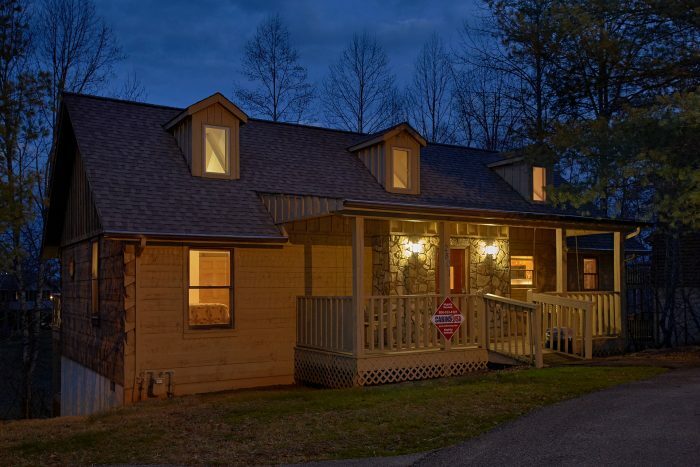 Located only a mile from the action-packed Pigeon Forge Parkway, you'll find "Mountain Crest," a comfortable 4-bedroom cabin tucked away in a peaceful, wooded setting. 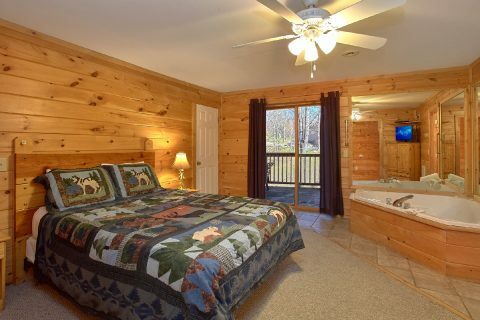 This Eagles Ridge Resort cabin keeps you close to all the exciting attractions, excellent shops, and delicious restaurants in Pigeon Forge, while also ensuring you enjoy a peaceful mountain getaway tucked away from it all. 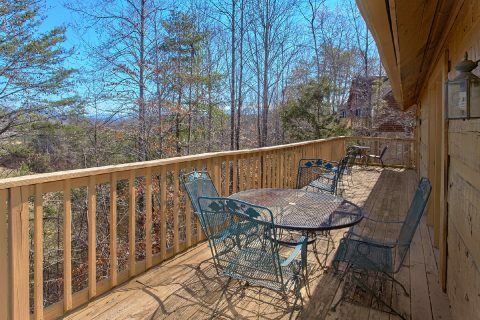 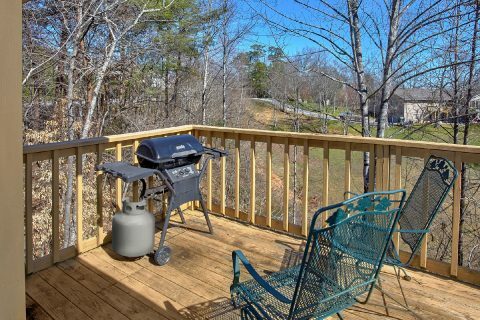 After all, this rental rests only 1 mile away from Downtown Pigeon Forge, so you'll have no trouble seeing the sights and attractions you want to see on your Smoky Mountain vacation like Dollywood, The Island, and the Historic Old Mill. 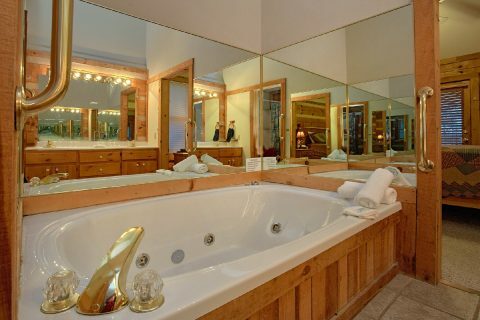 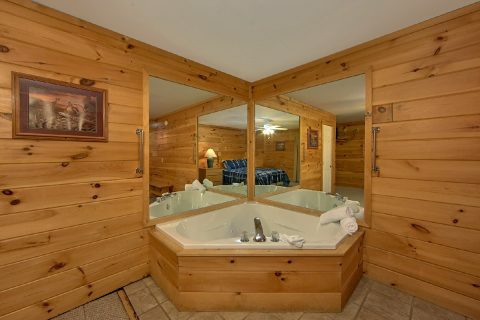 Back at your log cabin in Eagles Ridge Resort, you'll find everything you need after a great day in the Smokies. 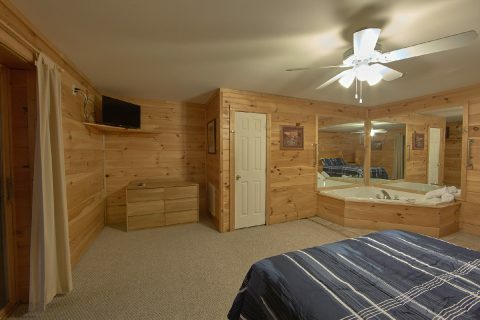 At the outdoor resort swimming pool, you can enjoy splashing in the water or working on your tan by the poolside. 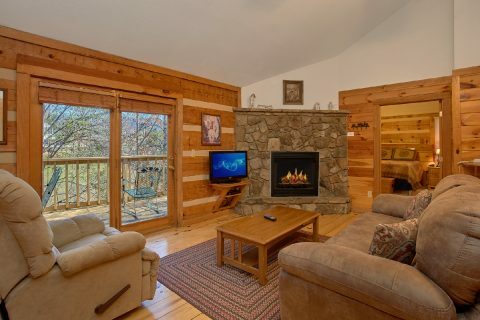 In your rental's comfortable living area, gather around the warm gas fireplace while spending time with friends and family. 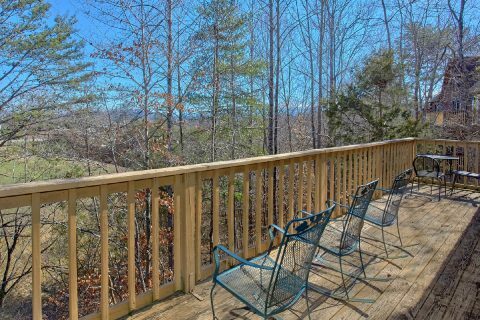 For a relaxing evening, come sit outside on the deck and listen to the sights and sounds of nature that surround your cabin. 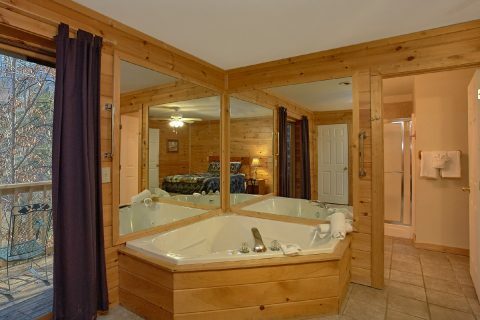 You can also unwind in your cabin's outdoor hot tub or in the privacy of the indoor jacuzzi tub. 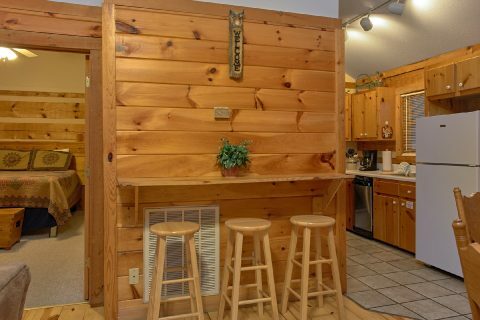 There's even a sit-down multi-game arcade game for you to enjoy in the comfort of your cabin! 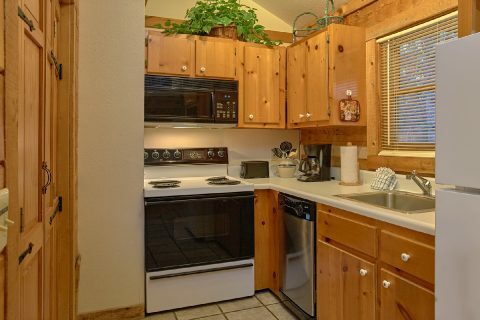 This resort rental also comes complete with practical amenities like a full kitchen, gas grill, WiFi Internet, and a washer & dryer for guests to use during their stay. 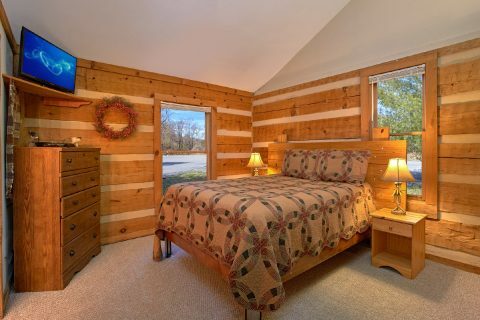 When you're ready to get some rest on your vacation, this 4 bedroom cabin offers comfortable sleeping space for up to 10 guests. 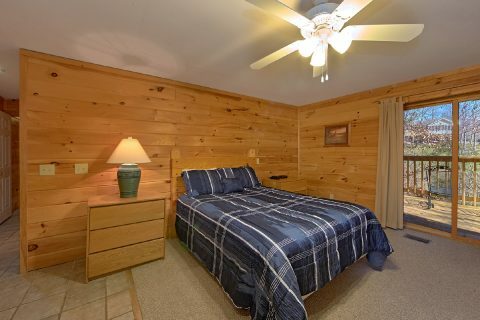 Altogether, this cabin provides 2 queen-size beds, 2 king-size beds and there is also a sleeper sofa provided for extra guests. 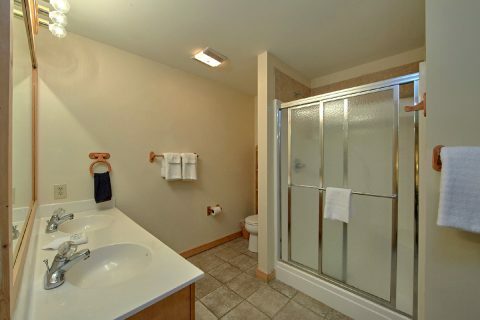 Need more room for your family and friends? 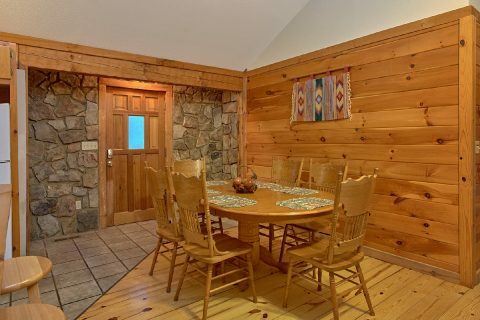 Cabins USA offers several other nearby cabins in the Eagles Ridge area, including two more 4 bedroom rentals: "Mountain Fever" and "Mountain Destiny." 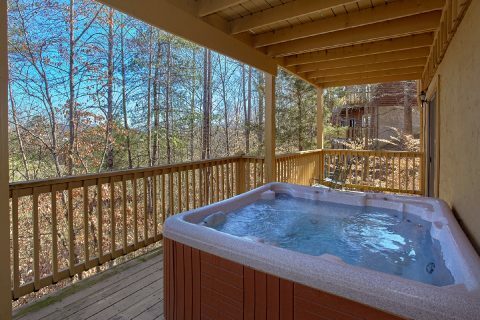 Feel free to contact our reservations office to start planning your multi-cabin vacation in the Smokies! 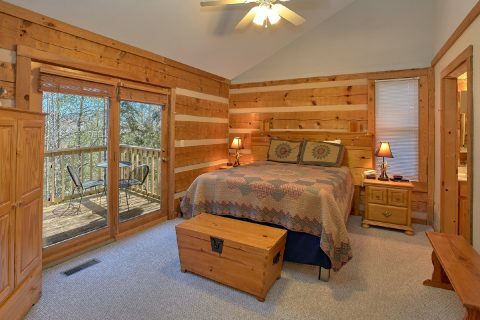 Book your 4 bedroom cabin that's only a mile from Downtown Pigeon Forge today with Cabins USA to earn a special 15% discount on your stay!